Chinese travelers made 162 border crossings in 2018, an increase of 12 percent year-on-year, according to COTRI Chinese Outbound Tourism Research Institute. That alone is impressive, considering China is the largest outbound tourism market in the world but that’s not all. This segment of the tourism market also proved to be a lucrative one as big spending Chinese tourists alone spend US$258 billion, accounting for a quarter of the total global tourism spending, making them the world’s biggest spenders in 2017, according to the UNWTO barometer. The growth of Chinese tourists continues to be optimistic as the big-spending Chinese tourists are expected to part with $500 billion by end of 2024. 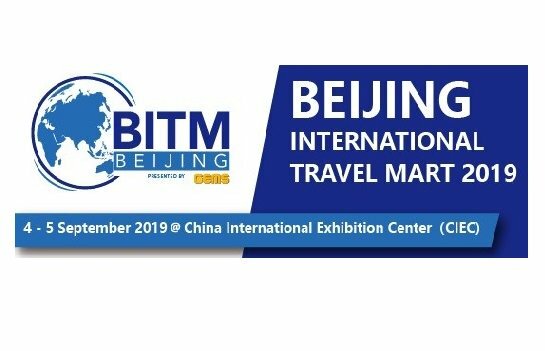 To help businesses and organizations attract the largest outbound tourist market in the world, Conference & Exhibition Management Services Pte Ltd (CEMS) will be organising the third edition of the Beijing International Travel Mart (BITM) from 4 – 5 September 2019. With more than 15 years of experience in China, BITM professional team is well connected to the 1,200 outbound travel agencies in Beijing. BITM is expecting over 400 buyers at the show, with 80% from Beijing and the rest from Tianjin and other nearby cities.